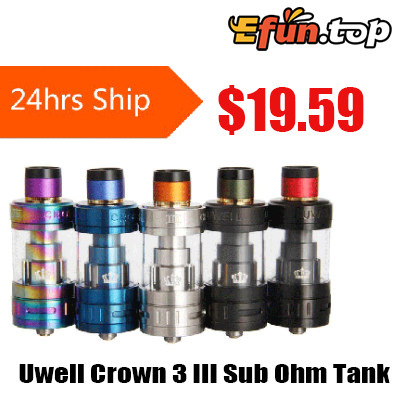 The Uwell Crown 3 III is newest version of Uwell's famous Crown Tank. The Crown 3 features a 5ml juice capacity, top-filling system, and an innovative plug sub ohm coil system. Each box is provided with a Crown 3 Key to improve coil changing and tank cleaning. if you like it please take it away.